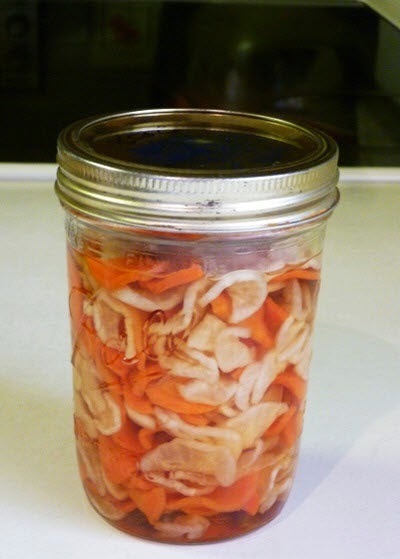 One of stunning Vietnamese Food Recipes cannot miss on Tet holiday in Vietnam is pickled vegetables. When Southern people usually eat Pickled Vegetables and Chinese Scallion (Dưa Món Củ Kiệu) on Tet holiday, the northern people has another option. 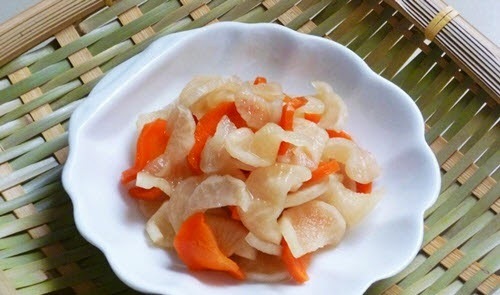 It is called Pickled White Radish and Carrot (Củ Cải Muối) for this special holiday. However, all these food are all used with Bánh Chưng and Bánh Tét. 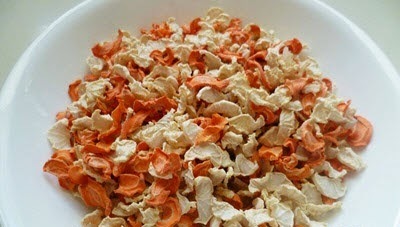 Here is the highest traditional flavor on Tet of Vietnamese Culture. Are you a gourmet? 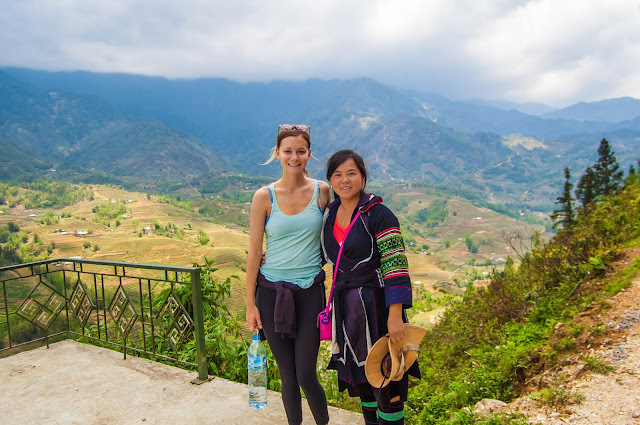 Are you fall in love with Vietnamese Cuisine? 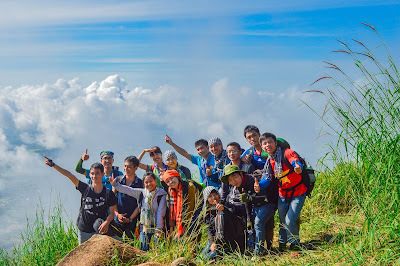 I think if you say yes, you should not miss any Vietnamese Food Recipes from us. We are trying not only delicious food, but also give for you guys easiest ways for cooking. If you are ready, please follow our instructions below and let us start cooking right now. Step 1: Peel off the cover of carrot and white radish. Next, slice thinly like the photo below. Step 2: Soak into hot water in 5 minutes. Bring to dry in the sun until all sliced white radish and carrot are dried (maybe 3 days). 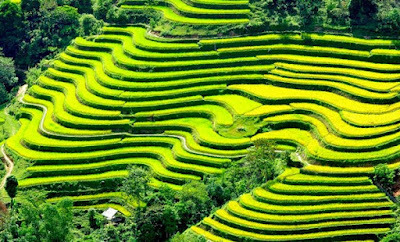 Here is the first step to create one of stunning Vietnamese Food Recipes for Tet Holiday in our country. 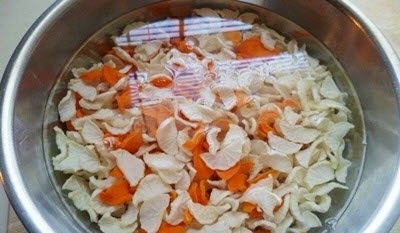 Step 3: After that, soak dried white radish and carrot again into warm water until they are soft and wash immediately through cold water. Next, use your hand to press out water and store into glass jar. Step 4: Cook fish sauce + sugar + water with medium heat until all sugar is melted. Then, pour this mixture into glass jar. 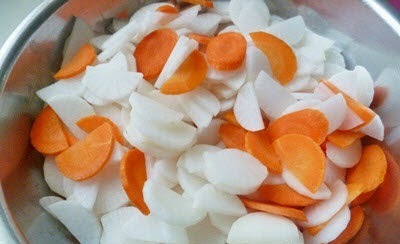 Make sure this mixture can cover all white radish and carrot. 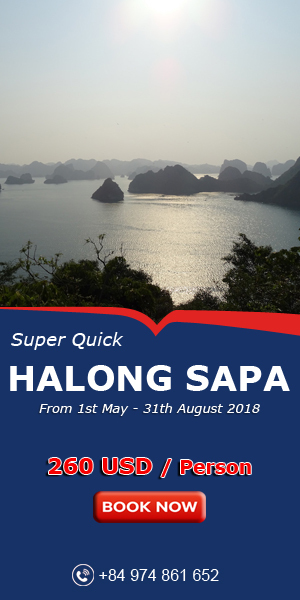 Wait in 2 – 3 days and you can enjoy it. Finally, you finished one of stunning Vietnamese Food Recipes for your beloved family on Tet holiday. Do you love it? When eating, you can scoop a little on small bowl and enjoy with Banh Chung, Banh Tet. I bet you cannot forget its flavor from the first time tasting. Hope you will make this dish and Good Luck for your Cooking. Happy Lunar New Year, everyone.